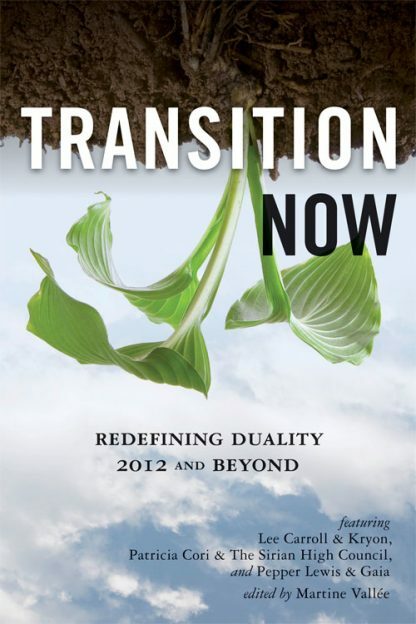 Red Wheel ∕ Weiser Online Bookstore | Transition Now: Redefining Duality, 2012 and Beyond by Lee Carroll (Kryon), Patricia Cori, Pepper Lewis et al. Spiritual seekers everywhere know it: the world is changing rapidly. The old rules don�t apply. The more open we are to guidance the more guidance will come to us. The guidance in this book teaches us how to recognize the interdimensional energies in our 3D world. As governments shift, economies are pruned, and systems fail. Here are hopeful instructions for how celebrate the failure of the old as it makes way for the new, how to balance our energy and that of the planet, and how to meet the future which is now. Lee Carroll has been channeling Kryon for many years and is the author of Kryon books, most recently Lifting the Veil: The New Energy Apocalypse. As Lee Carroll he is the co-author of The Indigo Children. He and his partner, Jan Tober, began Kryon light groups in 1991 and now host groups around the world. Carroll lives in San Diego, California. Patricia Cori is a clairvoyant and channel and the founder of the LightWorks Association, a spiritual center and New Age library in Rome, where she lives when she is not traveling the world to teach and research. She is the author of No More Secrets, No More Lies, part of the Sirian Revelations. Pepper Lewis is a natural intuitive and a gifted channel of the sentience of our planet, Gaia. She is a frequent contributor to the radio show The Great Shift with Rev. Fred Sterling and the founder of The Peaceful Planet, an organization dedicated to helping us relate to the world around us with balance and harmony. Martine Vallee, who collected and edited this volume, is also the editor of The Great Shift: Co-Creating a New World for 2012 and Beyond. She is also the French publisher at Ariane Editions of such luminary teachers as Eckhart Tolle, Esther and Jerry Hicks, Gregg Braden, and Drunvalo Melchizedek.